Richard Duggin helped launch the Writer's Workshop program at UNO in 1963. At the time, it was the only program in the country offering a bachelor's of fine arts in writing. For more than 50 years, Richard Duggin stood as the foundation for creative writing at the University of Nebraska at Omaha, and now the emeritus professor’s legacy will continue for decades, and centuries, to come thanks to two unique gifts recently donated in his name. 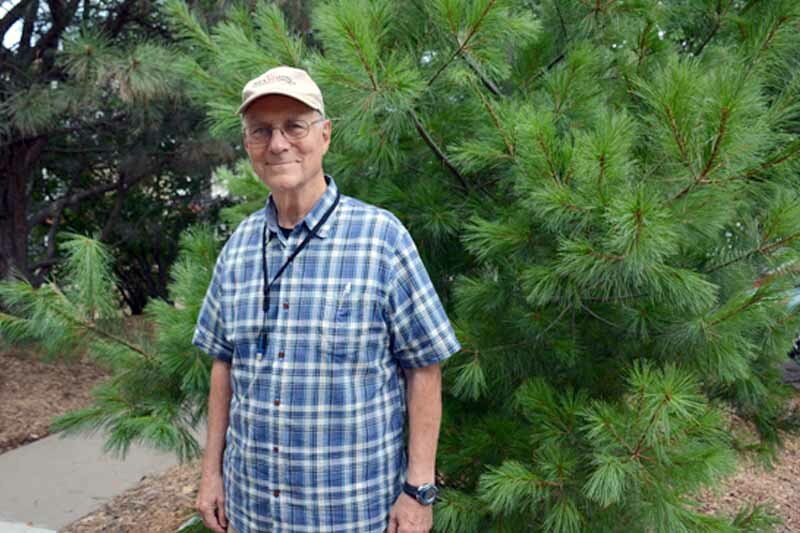 Earlier this summer, Duggin, who began teaching at UNO in the mid-1960s after earning his MFA from the University of Iowa, was honored at Nebraska City’s Lied Lodge with the planting of a young Eastern White Pine. 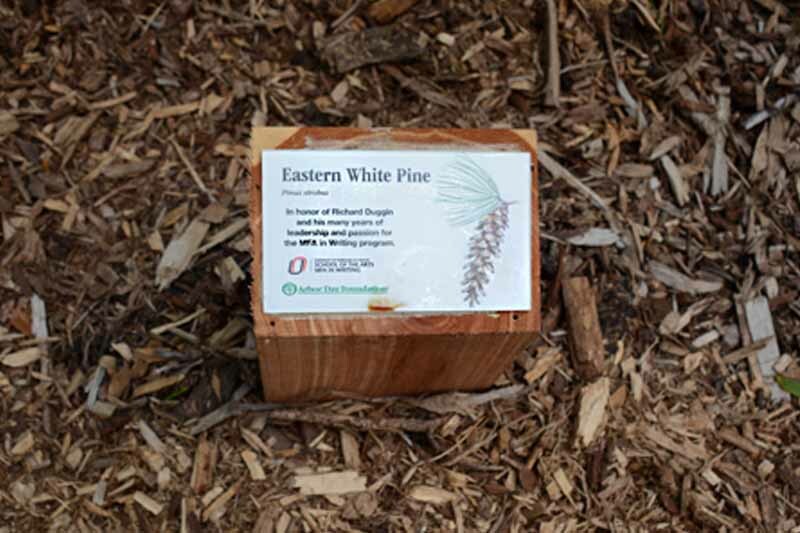 The planting of the tree not only recounts the site of the Lodge, which served as the site for the very first Arbor Day tree plantings of similar Eastern White Pines by founder J. Sterling Morton, but also represents the strong roots Duggin planted at the Lodge, which serves as a second home to UNO’s Master of Fine Arts in Writing program. Twice a year, members of the MFA in Writing program spend 10 days in residency at the Lodge. The residency allows students to attend lectures, workshops and readings, in addition to being paired with a faculty mentor who will help them with the rest of their coursework, which is completed from home over 16-week semesters. "The gift of an Eastern White Pine from our partner, the Lied Lodge and Conference Center, is a wonderful honor acknowledging the close ties our program and the School of the Arts at UNO have enjoyed with the Lied since 2005,” Duggin said. "The honor to me personally, and the warmth and service from the outstanding Lied staff for the past 14 years that UNO MFA students and faculty have enjoyed, is a testament to the continued success of the program’s mission in making a lasting impact educating and training graduate students from Nebraska and across the U.S. to master their craft and art as writers of contemporary literature." The tree planting also coincided with the announcement of a new fellowship award in Duggin’s name. Going forward, a current student who is enrolled in the MFA Writing program and has demonstrated excellence in creative writing will receive funding that will help toward their degree. During his time at UNO, Duggin not only served as a professor, but as the Writer’s Workshop coordinator since its launch in 1973. 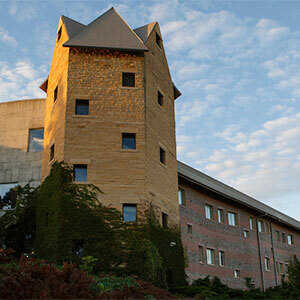 At the time it was launched, the Writer’s Workshop was the only undergraduate program in the country to offer a Bachelor of Fine Arts in writing. Initially retiring in 2008, Duggin continued to serve UNO through building up the MFA in Writing degree program. He returned full time to the Writer’s Workshop in 2012 before officially retiring in 2016. Duggin’s commitment to students and supporting their goals is reflected in the recognition of the tree planting and the legacy of the fund created in his name. It is an effort that began more than 50 years ago and has evolved from a passion project to an institutional staple. In addition to his teaching and leadership roles, Duggin is also an accomplished author. His published work includes the novel “The Music Box Treaty” and a collection of short fiction called “Why Won’t You Talk to Me?” He has been recognized by The Best American Short Stories and “Pushcart Prize,” as well as the recipient of a National Endowment for the Arts Fellowship and two Nebraska Arts Council Individual Artist merit awards. More information about the Writer’s Workshop and MFA in Writing program can be found on the College of Communication, Fine Arts and Media website, cfam.unomaha.edu.